NVIDIA Home > Support Home Page > Knowledgebase Home Page > Trial NVIDIA Purevideo Decoder Activation Issues. 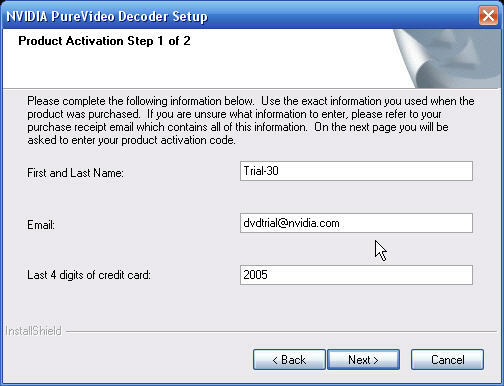 How do I activate the trial version of the NVIDIA Purevideo DVD Decoder software? 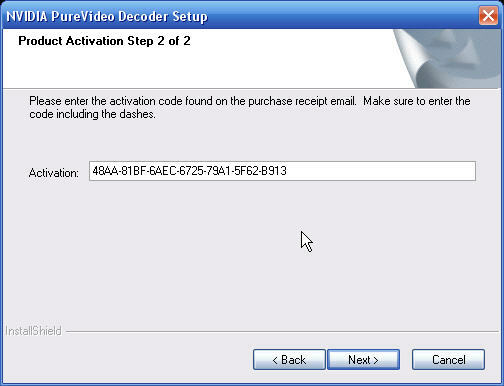 To activate the trial version of the NVIDIA Purevideo Decoder, please "copy and paste" the activation information below and use it during the installation process.